We’re preparing comprehensive cover for the up and coming iPhone XS Max with fantastic prices, and have a dedicated and experienced in-house customer care team. Cracked Screen Cover– Apple’s biggest edge-to-edge glass display yet is worth protecting. Accidental Damage cover– we’ve got your iPhone XS Max covered if you drop or damage it. One of the three new iPhones that Apple have released this year is the supersized iPhone XS Max, which comes with the biggest OLED screen yet, a 6.5inch edge-to-edge super retina display to be precise. It possesses a 12 MP dual rear camera and accommodates Face ID, like its predecessor, however it's got a longer battery life and a smaller but incredibly powerful A12 chip. Equipped with these upgrades, the Xs Max is set to be a powerful and efficient smartphone. With this said, we know you won't want to be without it for long should the worst happen! As a larger and updated version of the iPhone X, the iPhone XS Max will understandably come with a fairly steep retail price, starting at £1099. So, if you’ve decided to invest and upgrade to the iPhone XS Max, it’ll prove costly to repair or replace it. That’s why we're making cheap iPhone XS Max insurance policies, so that if you break or lose your beloved new device, loveit coverit are here to help. With 30 years in the industry, you can trust us to take care of your gadget and we'll get it back in your hands quickly, if it gets lost, accidentally damaged or stolen. We will continually compare our policies to others, to ensure you’re getting the best iPhone XS Max insurance in the market, at the most reasonable price. Our iPhone XS Max cover stands out from the competition as it includes loss as standard and unlimited claims. Accidents happen. But when they happen to your new iPhone XS Max, our comprehensive cover gives you peace of mind and financial reassurance. Nothing attracts water quite like high-tech gadgets. Protect your iPhone XS Max against liquid damage and we’ll get it repaired or replaced. Dropped or knocked your iPhone XS Max and the screen is cracked or not working properly? Don’t worry, we will get it repaired! 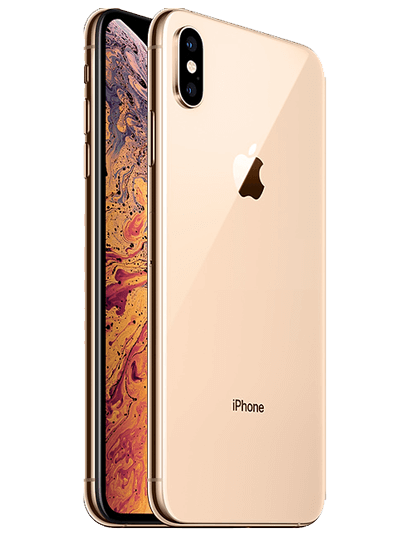 We offer a replacement iPhone XS Max and cover for unauthorised calls when your device is taken from you. We’ll cover your iPhone XS Max if an electrical or mechanical fault occurs outside of its warranty period. The loveit coverit team have provided insurance since the first iPhone ever released. We have followed alongside as every new Apple device has been developed and released, offering comprehensive and affordable policies. Here at loveit coverit, we understand how highly valued iPhones are by their users. That’s why it’s important to protect your iPhone XS Max with cheap, but comprehensive phone insurance to help you out with repair or replacement costs that you could face if the worst happens. With loveit coverit's iPhone XS Max insurance, you can be sure that your new device is in knowledgeable and safe hands. We want you to make sure you're getting the best iPhone XS Max insurance for you. So if you’re doing your iPhone insurance comparison online, always check each company's excess fees, as well as what cover is actually included in your policy- loveit coverit are one of the few providers who provide loss as standard. Based on your chosen device, you can easily see how our iPhone XS Max insurance compares. We've made it quick, simple and cheap to insure your new iPhone XS Max. With colossal RRP prices, you only pay a fraction per month, to ensure you are covered if a damage, loss or theft occurs. It’s been ten years since the iPhone was introduced. To put that into context, Tony Blair resigned as Prime Minister, people could still smoke in restaurants, pubs and offices, and Leona Lewis spent 10 weeks at the top of the music charts. Elsewhere, Apple were revolutionising the world of mobile phones. Whilst some people were queuing up to get the latest Harry Potter book, and others were queueing to withdraw their money from Northern Rock, there were tech lovers who actually camped out overnight to be first in line for Apple’s new iPhone. More than 5 million units of the original iPhone were sold, with many stores running out of stock within the first hour. It was available in aluminium grey, had a 1.2 MP rear camera, a maximum of 16GB data, no 3G, no apps and no videos. Fast-forward one decade, and we’re eagerly awaiting the arrival of the iPhone X, featuring wireless charging, facial recognition and a TrueDepth camera. The new device, revealed September 12th, is also the first to have an edge-to-display. We’ve come a long way. Back in 2007, Steve Jobs claimed Apple was going to “reinvent the phone”. It did more than that, it transformed the way we interact with each other, the way we learn, shop and consume media. It changed our daily routines and our jobs; quite simply it changed our way of life. 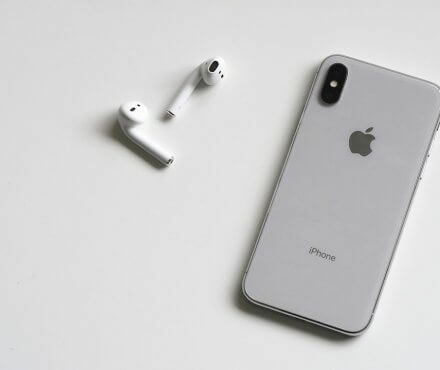 The widespread popularity of the iPhone has triggered a number of social and cultural changes, such as the selfie phenomenon that followed the introduction of the front-facing camera in the iPhone 4. 12 megapixels and 4 handsets later and we’ve become a nation of photographers. Popular apps like Facebook, meant people could then share these photos with their friends on their commute to work. But the iPhone has also led the way when it comes to more practical advances too. The introduction of Apple Pay saw contactless payment take another step forward. Even before this, various apps and features along the way have meant that our phones have also become our computers, our iPods, our maps, calendars and banks; integral parts of our day-to-day lives. So integral in fact, that we’ve become a generation of people who cannot function when our phones break. Whether you’re one of the 100,000 people who drop their phone down the toilet each year, or you simply left it on the train, we’re all familiar with the pounding heart and cold sweat that accompanies the realisation you’re now cut off from the world for the foreseeable future. At loveit coverit we’ve been there for you through every flushed handset and damaged charging port. We supported you through bendgate and we’ve been helping you protect your phones since Siri was but a twinkle in Steve Jobs’ eye and you were still playing snake on your Nokia 3210. With just weeks until Apple’s most expensive handset yet is on our high streets, we wouldn’t want to see your dreams shatter along with your screen. If you do plan on investing on what looks set to be the most radical model yet, please, please make sure you get iPhone insurance before it’s too late!